Jimmy Love congratulates Brian Wright on receiving the National Coach of the Year award for 2010. Jimmy explained that this was a real accolade as it was awarded to the person judged to be the best UK coach across all sports in 2010. Well done Brian. 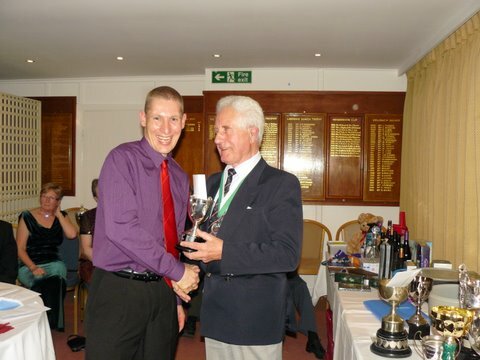 Jim’s run of success at the Trophy presentations just goes on and on. Following his prestigious 2010 Mug of the Year award (for services to architecture using a Luton Van), this year he effortlessly scooped the Gurgle Fish award – the ultimate (as in last!) 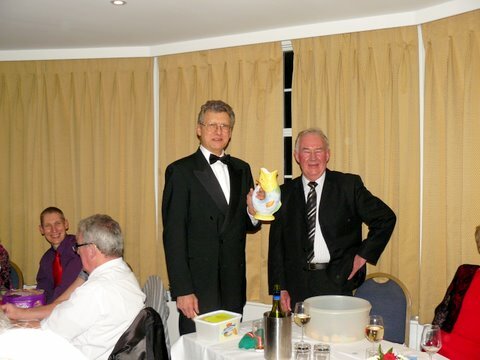 prize in the raffle. A clearly ecstatic Jim accepts the award while rest of us breathed a sigh of relief! 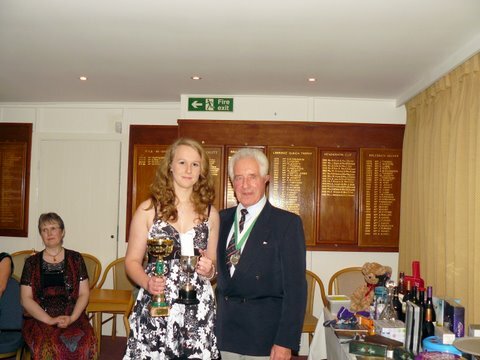 After a very full day of training at the Newport velodrome, Kirsten arrives in a nick of time to collect her Schoolgirls Track Champion trophy and Schoolgirls Road Race Championship. It’s business as normal for National Masters Champion, European Masters Champion and World Masters finalist, Jayne Paine. 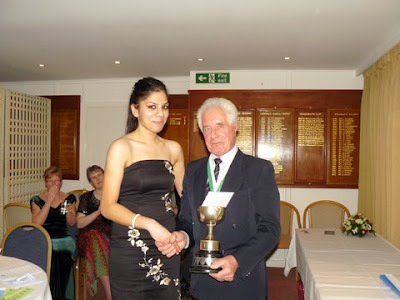 She retrieves her Ladies Track and Ladies Road Race trophies for yet another year’s storage on her mantelpiece. Nick “Ton-up” Tidmarsh is recognised for his achievement with a trophy that is named after him. 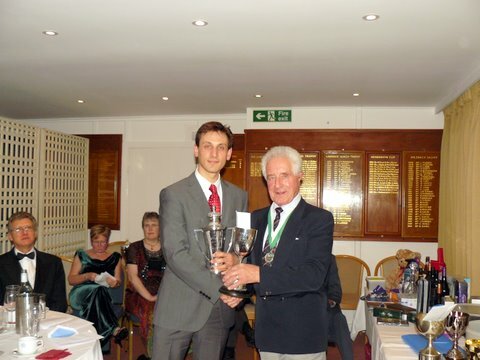 The “Nick Tidmarsh” Trophy will in future be awarded to the 10 mile Time Trail champion. 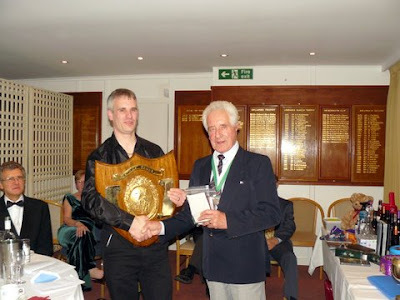 Peter Turnbull is the Club Mens Audax Champion. Martin Lucas won the President’s Trophy for the longest ride in Italy. 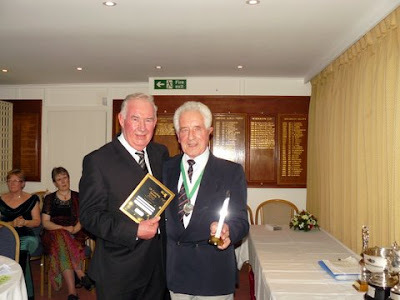 He was the first UK rider to finish the grueling Mille Miglia 1,000 mile Audax ride in Italy the summer. 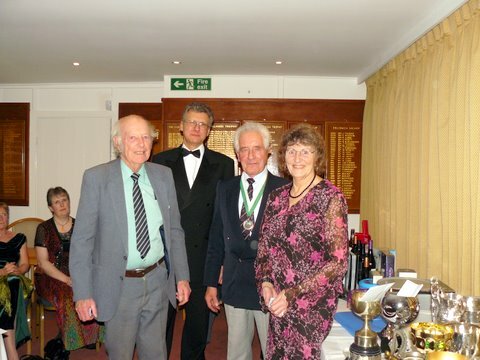 The Willesden CC also scooped the Audax UK championship – a mighty achievement. 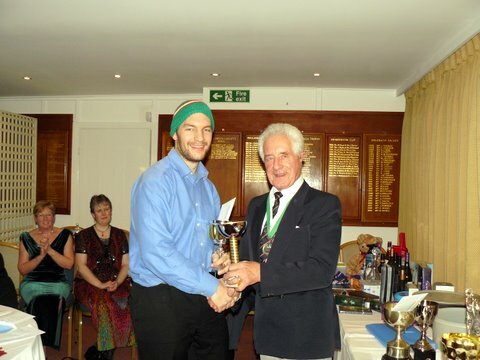 Stuart Birnie, sporting one of the dozens of hand knitted hats made by Gladys Joy Purdy and Wendy Mears cuts a dashing figure as he pick ups the Sportive Award and Hill Climb Championship. 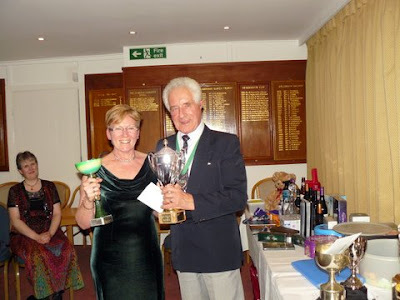 Wendy Mears did some gnarly rides to complete the Audax UK Randonneur Round the Year Award (a 200km ride in every month of the year). 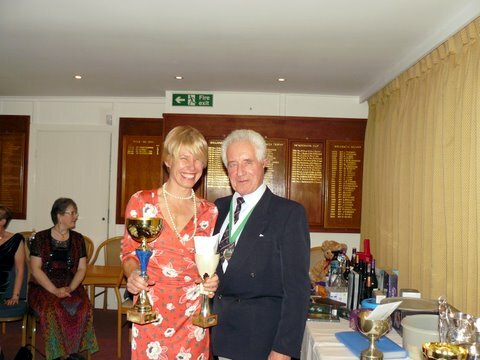 Here Wendy receives the Audax Merit Award and the Ladies Audax Championship. A very popular win judging by the cheer that went up. Tom London wins the the Club Road Road Championship and the Club Track Championship. Connor Woodford is the Willesden CC’s Schoolboys Track Champion. 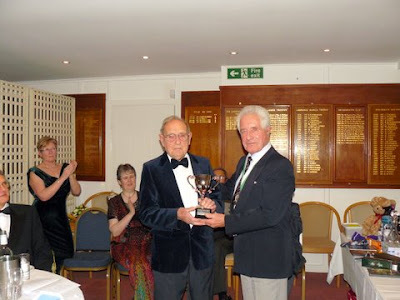 If you think Connor looks a little mature to be a schoolboy – the trophy was received on behalf of Connor by his rightly proud Granddad, Tony Woodford. 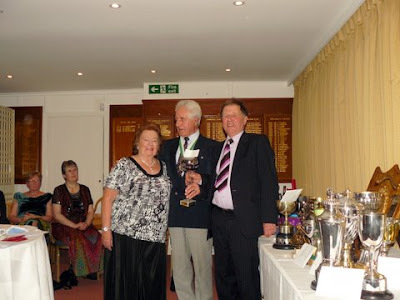 Gladys Joy and Ron Purdy collect the Marshalling trophy for a lot of very early alarm calls in 2010. This is an award to a club member deemed to have provided an outstanding contribution to the club in 2010. 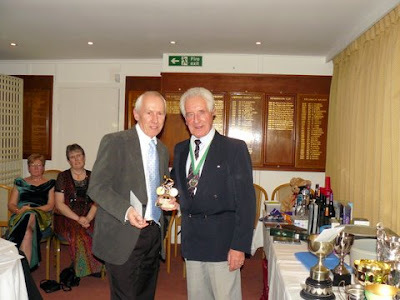 It was awarded to Richard for stepping in at the last minute to save the Willesden Road race.